After two years and several pilot projects, Dow Solar (a division of Dow Chemical) has finally made its much anticipated Powerhouse Solar Shingles available for widespread sale and installation. Although the first state to see the shingles available will be Colorado, Dow Solar plans to mass-market the new shingles in twelve other states, starting in California and moving across the country to the East Coast by 2012. 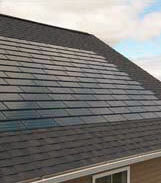 For those of you unfamiliar with the new Powerhouse Solar Shingles, they are the latest in residential solar paneling. Dow Solar has created a thin-film solar shingle that looks remarkably like a typical asphalt composite shingle both in shape and size. When installed on a roof, they even copy the same brick pattern. Since they are meant as a replacement for regular shingles, they are also highly durable. The company claims they can be walked on or even dropped from a height of two stories without breaking. Plus with a 20 year warranty, it’s clear Dow Solar stands by its product. Now, it’s true the new Powerhouse Solar Shingles only have an efficiency of 10%, which isn’t a whole lot. For instance, you couldn’t generate 100% of your power needs with them. But if you need new roofing for your home, they are a worthy investment because not only do they accomplish what regular shingles do (i.e. provide protection from the elements), but they generate electricity as well. While I don’t foresee hordes of homeowners flocking to go buy them right away, I think you will see a lot more of this technology in the future. As usual, technology only improves over time, and as more of these solar panels are created, we’ll probably see higher efficiency levels and lower price tags in the next few years. 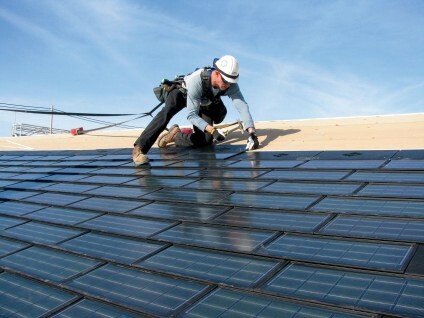 Would you buy Dow Solar’s new Powerhouse Solar Shingles?